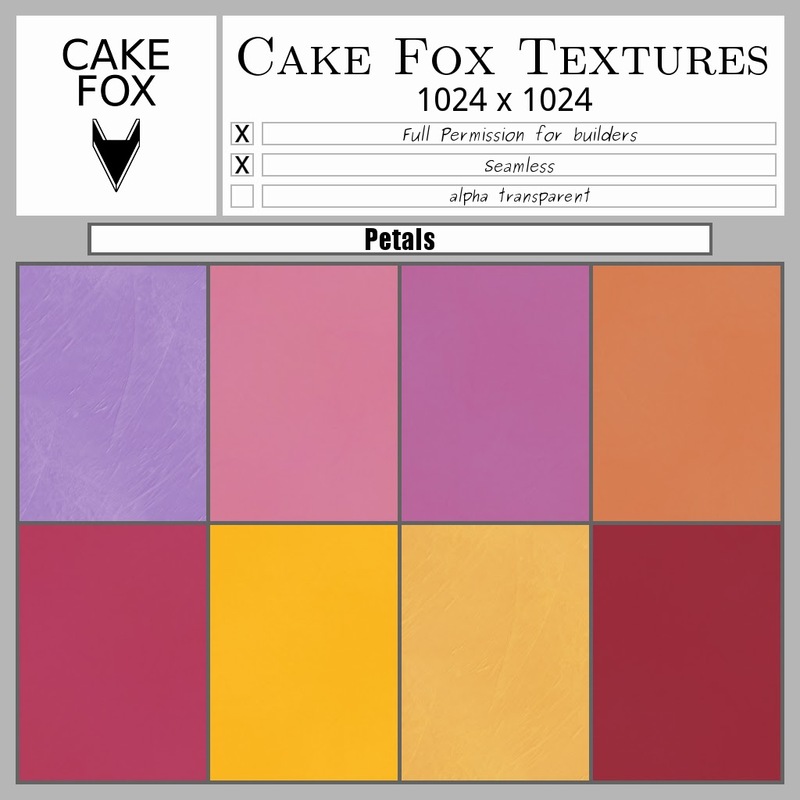 Some new texture sets available at Cake Fox Mainstore. Cake Fox Textures Buttoned Up. Fullperm. Alpha transparent. 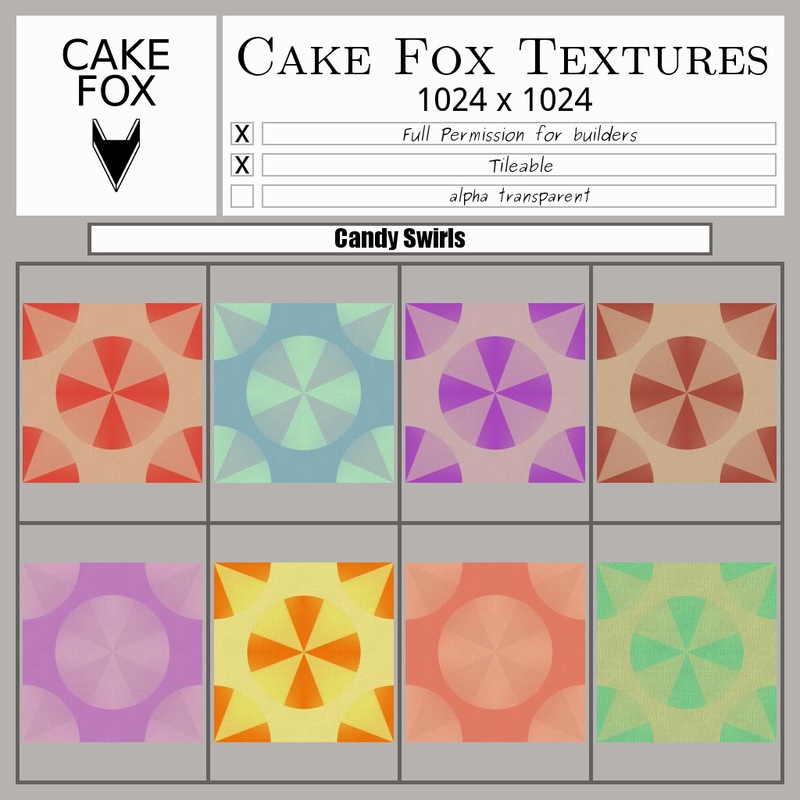 Cake Fox Textures Candy Swirls. Fullperm. Tileable. 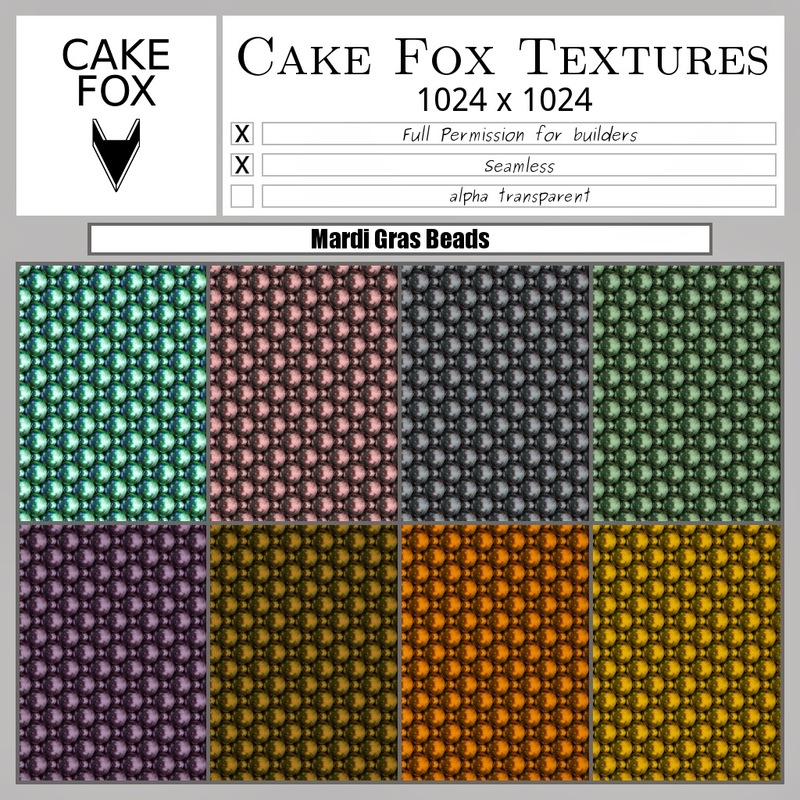 Cake Fox Textures Mardi Gras Beads. Fullperm. Seamless. Cake Fox Textures Petals. Fullperm. Seamless.